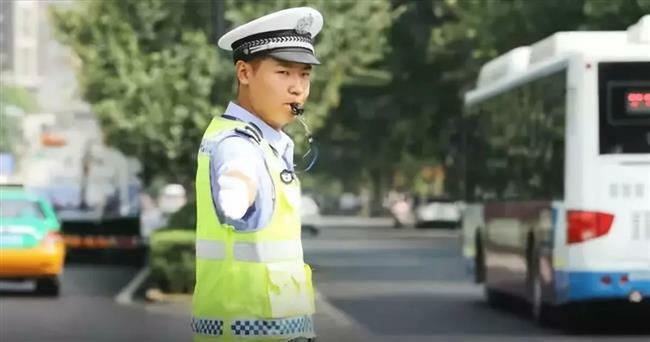 A traffic police officer in northwest China became an Internet celebrity for his outstanding foreign language skills. A traffic police officer in northwest China became an Internet celebrity for his outstanding foreign language skills, Xinhua news agency reported. Yi Yang, 24, is an auxiliary police officer in Xi'an, Shaanxi Province. He is not only good at English, which was his major at university, but can also speak some Japanese, French and Russian, which he learned on his own. He often takes advantage of his language skills to help foreign tourists, giving them directions and explaining Chinese traffic regulations to them. As early as last year, video of him helping foreign visitors in four languages emerged online, helping promote the world-famous tourist destination, known internationally as the home of the terracotta warriors. In some of the footage, Yi chats with foreigners in fluent English and French. "I asked where they came from in English. They said Paris, thus I switched to French. They felt really welcomed when they heard their mother tongue on a foreign land." "Apart from taking responsible for road safety, traffic police officers also need to offer other help and services to the public," Yi said. "I feel happy and valuable being able to use what I learned in my work." The polyglot policeman greatly amazed Chinese netizens, with someone commenting, "This has definitely aroused my enthusiasm to learn a foreign language."